The first thing you will want to consider when looking for e-nail heat coils is what nail do you plan on using? Are you going to be dropping a lot of monstrous globs and snakes in, medium sized dabs, or “grain sized” smaller dabs? From what I have seen the quartz banger is significantly more popular than other nails at this time, although I prefer SiC to quartz personally (for maintenance and flavor reasons). There are also many other styles of nails to choose from. The main differences in nails to consider are durability, heat transfer (shape and material), material type and flavor, and how how easy (or difficult) they are to clean. With the plethora of specialized banger options for axial e-nail heating coils with bottom wraps on the market, it’s no wonder that so many are wondering which option is optimal for them. For years 20mm was the standard, and worked well for many. However there are times when you may want to “glob” on a larger dab, and in those cases using a 20mm banger may result in too little surface area to effectively and quickly heat that dab before it turns into a darker, more undesirable puddle at the bottom of your quartz. 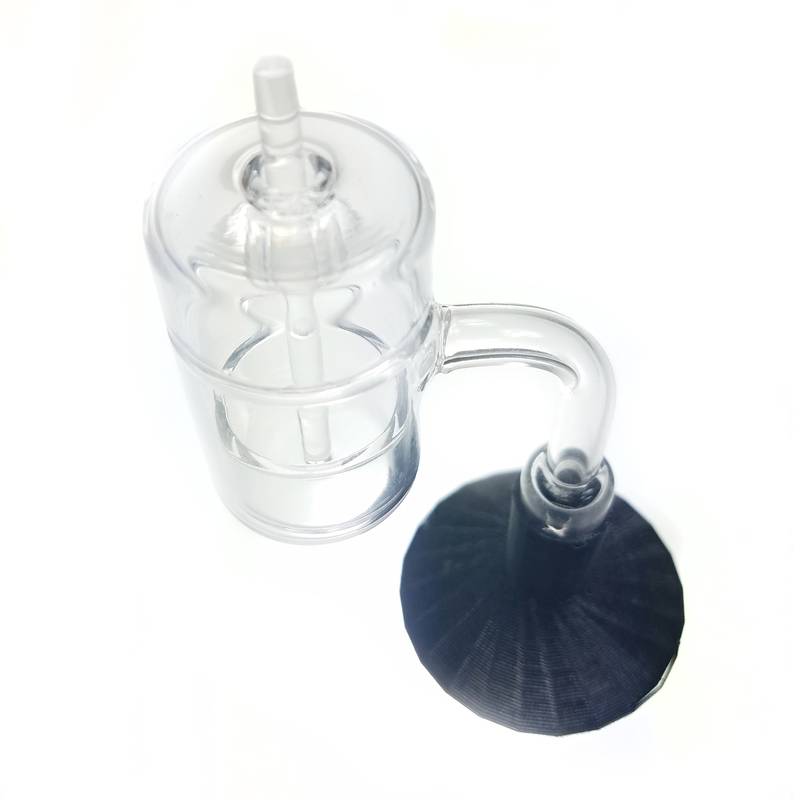 It is much more ideal to be able to vaporize the majority of the dab at once using a larger surface area. This is where larger bangers come in. Of course, there can be drawbacks the larger you go, such as having a larger amount of weight on the end of your rig. If you have a smaller rig, or it is just a little top-heavy, this could mean some serious tipping! Also, a larger banger has a bigger coil, which pulls a little more energy to get the larger banger heated fully. And then there are some that won’t give up the Ti for the world! There are some that swear by products like the Liger AiR banger and other Ti nails that the heat transfer, and even flavor is more preferable. I think it’s a close match with quartz, but is clearly no match for silicon carbide. What is Grade 2 Ti? Grade 2 Ti does not necessarily denote anything about purity. It is actually a classification based on other properties relevant to engineering such as hardness, strength, etc., If you are looking for purity ratings you need to look for “Medical Grade Ti”, which sadly is hard to find. I personally prefer a hybrid Ti/quartz or SiC nail over using Ti as the dab surface. That way I can take advantage of the sturdy and easily adaptable base, but then have a dab surface with improved flavor. Some prefer quartz domeless over bangers for their smaller chambers and ease of cleaning (especially with the dish style). 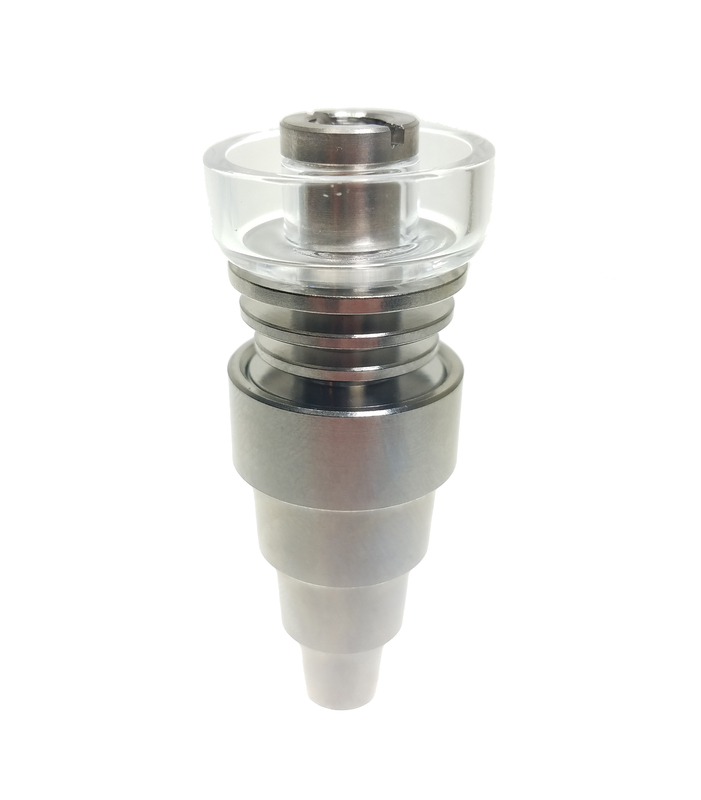 The Ti/quartz hybrid has a removable dish which allows for easy and cheap swapping of dab surface material as well as access to the inside of the Ti piece. The shape also allows for easier transportation in Pelican e-nail cases, and the like. After you decide on a nail, it’s time to find the heating coil that will match it. The barrel style coil will fit the banger style, since it’s designed with side walls to fit around the banger coil. Most people nowadays go for the barrel style with bottom wraps (sometimes called axial style even though that just means round) which helps out with heating the bottom of the surface, and not just the side walls. A standard barrel coil will work just fine as well; but you will be turning the temps up just a little bit more to get everything vaporized (unless you have the “waste it to taste it” philosophy). You might think that using a “barrel” style coil that heats the side walls would be coil to get for this dab dish; but it most likely wouldn’t fit correctly and probably slide off of the side of the nail. This type of nail requires a flat style heat coil, which is sandwiched in-between the Ti nail and the SiC dish on top of the nail. 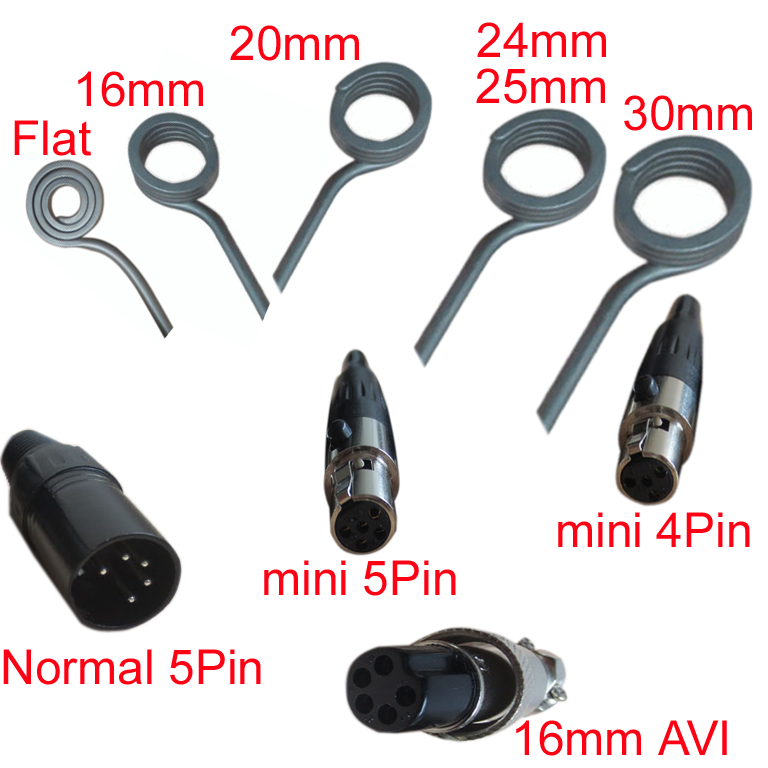 Flat e-nail coils seem to be preferred over barrel style heat coils by many e-nail owners. 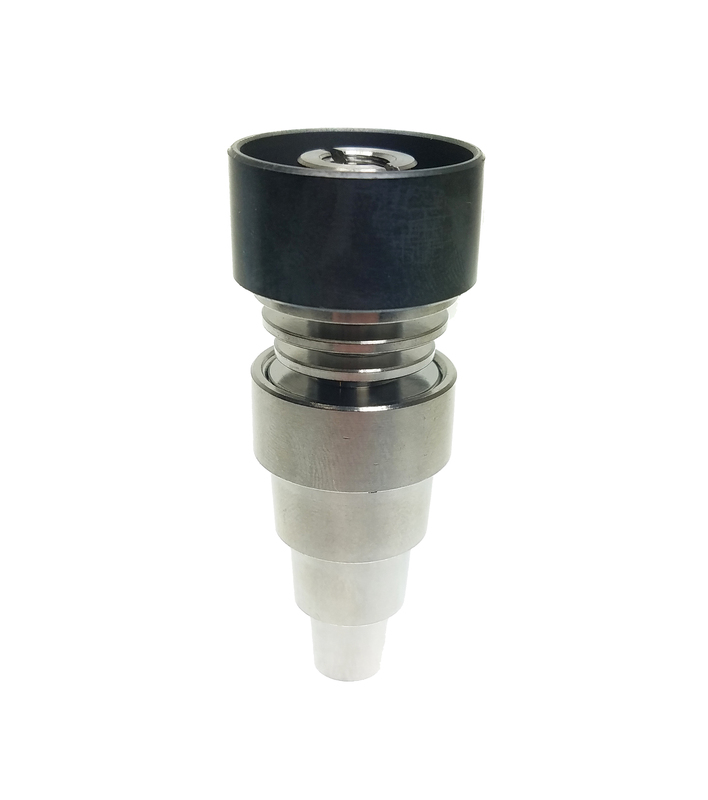 This is because a flat coil heats the bottom surface much more directly than a barrel style e-nail coil. Since heat rises, this is the most direct and efficient method of delivery for heat through the dab surface. Do you plan on upgrading dab surfaces in the not-too-distant future? For budget users that want to get the most flavor (and clean-ability) for their money, the SiC hybrid Ti nails work amazingly. I do mean amazingly! I’ve been using mine for almost a year and it still comes almost totally clean after a super quick water-treatment (see instructions here). The quartz Ti hybrids are also great since you can easily upgrade to the SiC dish and/or swap out different dishes in the future. A flat coil is the only type that properly fits the nails mentioned above. There are also other types of specialized e-nail heat coils out there, such as as the coil for a nectar nail tip (see image above), or the axial banger coil (see below). A barrel style coil is another way to heat a banger which only heats the side walls (and not the bottom dab surface).